Premiere July 17th, 2001, at UW Summer Arts Festival, Meany Hall, University of Washington, Seattle. Argentine premiere, September 1st, 2001, at La Fábrica Ciudad Cultural, Buenos Aires, Argentina. European premiere, February 15, 2007, Sonic Arts Research Centre (SARC), Queen's University, Belfast (this was the premiere of a 24-channel remix of the piece specially composed for SARC's Sonic Lab 3D sound auditorium). Commissioned by "La Fábrica" Ciudad Cultural, Buenos Aires, Argentina. In 2000, I was invited to compose a piece for an unusual venue in Buenos Aires called "La Fábrica" (The Factory). This place is in fact a metallurgic factory which becomes an alternative cultural center after business hours. I decided then to create a piece that would politically reflect on that space, both in terms of sound and program. UOM is the acronym of the Argentine metal workers' union (Unión Obrera Metalúrgica), well known for the lack of representation of its corrupted leaders and their gangster-like approach to politics. The piece explores the sound of metal in an allegorical way, using digital samples deployed in space as a representation of the "metallic" without mass, as the sonic essence of metal. The distance between what is represented and its representation, somewhat similar to the one between the metal workers and their union, constitutes the dialectic core of the work. The text used for the piece is quoted from "¿Quién Mató a Rosendo?" (Who Killed Rosendo? ), a book by writer Rodolfo Walsh, a central figure of Argentine culture, disappeared during the 1976-83 military dictatorship. In his book Walsh investigated one of the darker chapters in the history of Argentine unions: the murder of UOM leader Rosendo García in 1966, perpetrated by gunmen of his own union. 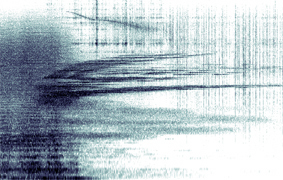 "UOM" was composed using ambisonics, many layers of sound were generated and processed to create the illusion of a single mass of sound changing organically over time. For this purpose, a combination of granualar and additive sythesis was used to sculpt sound spectrally. Except for a few sounds recorded with a soundfield (ambisonic) microphone, most sounds were generated synthetically form a brief analysis of a metallic sound (the analysis and resynthesis process was done with ATS). Each stream of sound was individually processed to have a particular spatial location and spread, using ambisonic imaging tranformations to achieve different polar distributions; this way some of them could sometimes have an omnidirectional distribution (all around the audience) or a cardioid distribution (with some sort of focal point in a particular direction). Spatial transformations occur gradually throughout the piece and function as important structural elements. The piece was composed in three dimensions, and performed using a cubic array of eight speakers. Recently, a new mix of the piece was done for twenty four speakers, specially tailored to SARC's Sonic Lab 3D sound auditorium. Nicolas Varchausky, Lilia Ferreyra, Horacio Verbitsky, Patricia Walsh, La Fabrica, Center for Digital Arts and Experimental Media (DXARTS), University of Washington. "Musica Heavy Metal" concert announcement from Clarín newspaper. "Los Muevos Metaleros" Buenos Aires premiere review from Clarín newspaper.